One of Thailand’s unseen highlights, this amazing natural phenomenon is set to take place at Ko Daam Kwan Island five days before and after the full moon, from December to the early May, when tides change dramatically in different hours of a day. 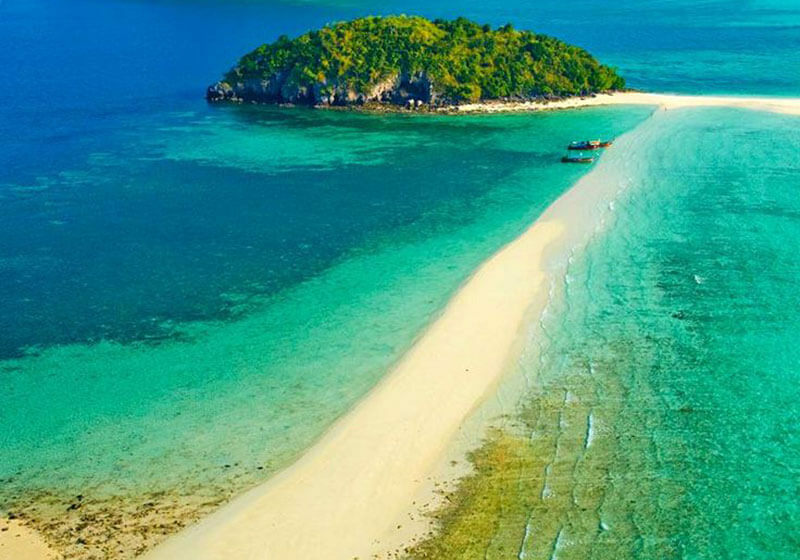 When the tide is low, it reveals a white sand dune and limestone beach connecting two islands together. To go see the happening you need to buy a tour package or rent a boat, which can accommodate 8-10 passengers, and can be priced around 2,000-2,500 THB.